I fully know custom surface types will not be added, I can see how the game is coded and why this would not be a worthwhile change. Can we settle for allowing a 2, 3, 4 suffix to be added to the soil types in the TYRE file? Drying line is a must, the added depth of simulation makes this so. Without it, the deformation alone is a novelty. Some way of controlling the deformation and drying rates of each soil type on a per track basis is also highly desirable. Having the game automatically setup the event format would be great, a workable compromise would be to allow the grid to be set via scripting or an in game menu. 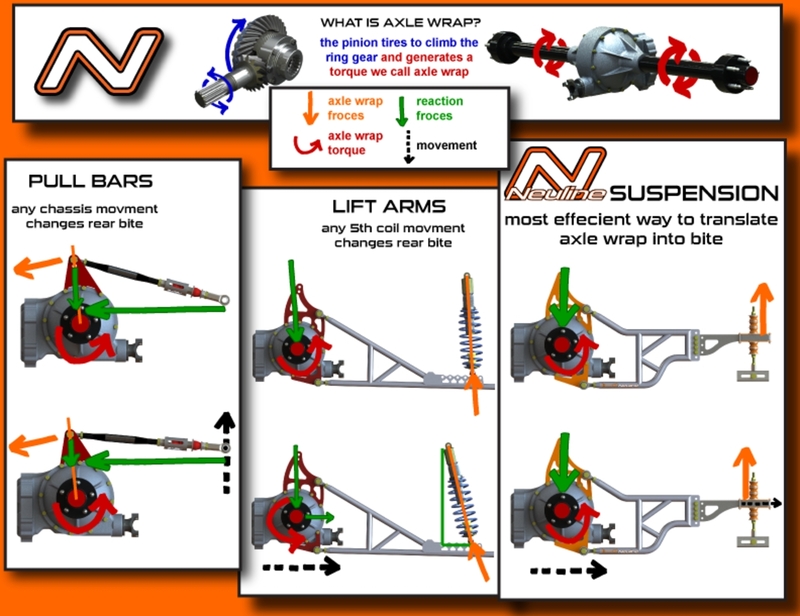 Adjusting the rear suspension constrains in the garage is a need. Setting min/max and step for each joint (like what is used in the front of the car) and a place the move them in the garage menu is all that is needed. Thanks for your time, and please, if you have any questions ask away. That's a long list but it all seems reasonable; personally I'm finding myself playing other sims, because there is no AI whatsoever in WRS. Running hotlaps is fun but it gets old at some point. But the list is a good place to start. I also have been working on a list as I go and will get it typed up eventually. The major problem I see as of now with the way the track deformation currently works (along with the things noted) is that the dirt that is eroded just disappears. Instead of it just going away, it needs to be able to be "moved" There also needs to be a variable, connected to the moisture content of the dirt. Wet dirt will get thrown in bigger clumps, while the dryer it gets, the less it moves, and in smaller particles. to the point where hard. Actually, as long as we have more variables in types of dirt to work with, we can easily create our own "drying lines" with different layers. As the wet dirt gets worn away, you reveal a dryer more compact layer of dirt. Don't really see the need for actual "drying line"
Good point about the dirt moving versus just disappearing. I'd imagine there is a limit to the number of layers due to memory constraints, the drying line is a workable solution with what we have to work with. The only problem stated has been that there is no good way to switch between the textures. We need to find PiBoSo a way around that. Seeing how the game is coded and references the track surfaces I can see how allowing modders to fine tune the properties of the surfaces would be a large change. But it's necessary. Even adding the option for a coefficient in the THT file for drying rate and erode rate for the existing surfaces would be huge.